Most of the time, when you are having your beautiful hardwood flooring installed in your home, you don’t have the time needed to choose unfinished flooring. 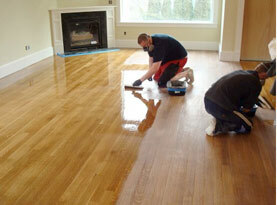 Prefinished hardwood flooring is a beautiful option for all of our valued customers that don’t want to wait. At Mike’s Custom Flooring, you can count on top quality craftsmanship every time you choose us to handle your hardwood installation. Here are some of the many benefits you will see when you choose prefinished hardwood flooring with us. 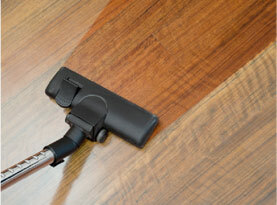 Choosing prefinished hardwood flooring will be beneficial when you think about how clean the process is. With the boards already finished, they only need to be laid down and nailed into place rather than sanded and completely finished before the process is complete. 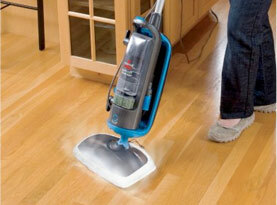 You no longer have to be concerned about the fumes that will be in your home as well during the staining process. When you purchase your prefinished flooring, you may pay more upfront than you would for the materials needed for unfinished flooring. However, the installation doesn’t cost near as much and brings the cost way down. When it is all said and done, you will come out on top when you choose prefinished floors. 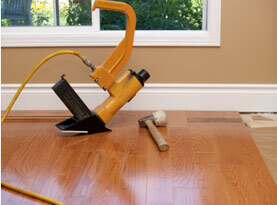 Prefinished flooring is much quicker than unfinished. You don’t have to wait for the sanding and finishing process to be complete before you can walk on the flooring. Once the boards are laid down and nailed into place, the process is complete and you are good to go. There is no one you can trust more than the flooring specialists at Mike’s Custom Flooring to handle your hardwood installation. Call us today!